What is particularly amazing about the Mendelssohn symphonies is the fact that he is both harking back to old masters like Bach, and, as a child of his time, looking ahead. Especially his Italian and Scottish symphonies are pointing at the future, since Mendelssohn lived in the era of discovery, of der Wanderer. Goethe came up with his jungen Werther, a guy who went away to discover the world and upon returning nothing looked the same. And that is exactly what you can hear in his music: astonishment, translated into music using harmonies we maybe already knew but which in his hands sounded completely fresh and new. Having said that, you can also hear an old-school musical approach. Mendelssohn sometimes uses fugues or chorales we know from older styles. He was the first to bring back those trustworthy techniques – and that, in itself, was also new. ["].. These are respectable performances, but no more than that."" ""The first symphony has never sounded so harsh, so exciting, so loaded and with so many contrasts."" ""A heartfelt portrait of Mendelssohn""
"This is an excellent performance, rich in sound while clean of line"
"Friends of powerful and straight lined interpretations will get their money's worth." 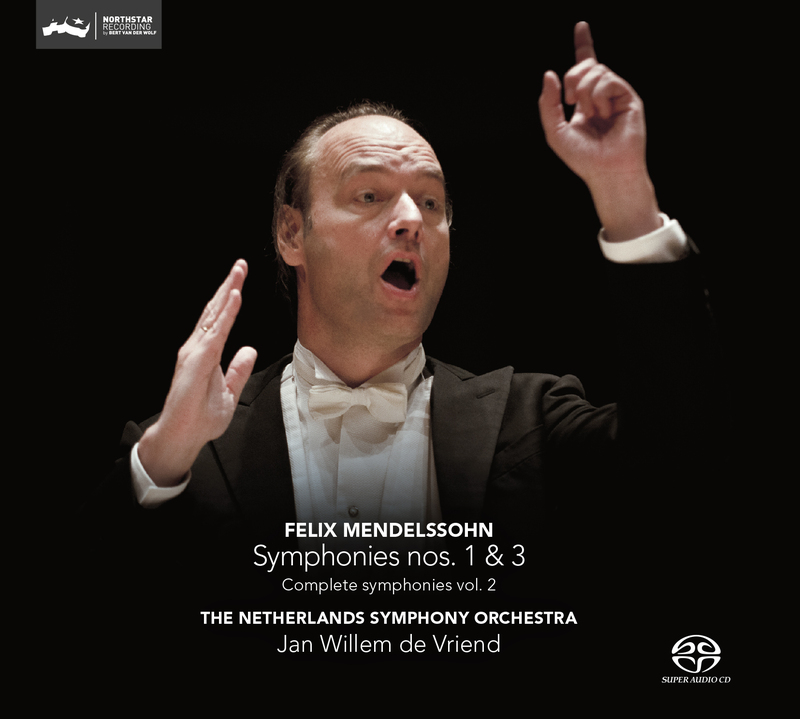 ""The Netherlands Symphony Orchestra under conductor Jan Willem de Vriend succeeds in finding the drama and wit in Mendelssohn's symphonies.""